E-Commerce in simple terms is business through Net wherein the interaction is between organization and its customers from initial enquiry to final payments. Nita Microtek provides you Business to Business Solutions, Business to Consumers Solutions and Consumers to Consumers Solutions. We, at Nita Microtek, believe Electronic Commerce is a platform for complete relationship management, not just a onetime transaction. 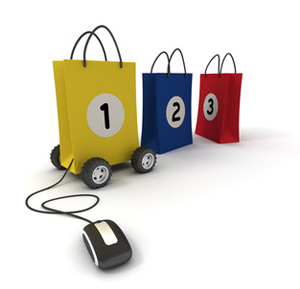 E-Commerce could mean selling in Cyberspace, Electronic Shopping, Electronic Data Interchange or even Home Banking. We help you through these with the creation of an open market space and the exchange of information and services. We also aid spontaneous interaction among members of a value chain and develop platforms for Relationship Management and Secure Payment Transactions. Some critical components of our e-Commerce solutions are Electronic Cataloguing, Security Policy Configuration & Implementation and Electronic Publishing. Not all of these may be included in any single e-Commerce venture, and certainly not any of these can claim to be e-Commerce by itself. We at Nita Microtek understand what it takes to configure the right mix of tools and features to create solutions that work for you. Nita Microtek B2B exchange provides simple platform where a typical company can provide its employees, suppliers, distributors, and customers access to marketing/ inventory management/pricing/ public relation functions and data.We can also show you how the product can be customized for these different audiences. We can design interfaces that are unique to your own business requirements and to those of your trading partners. Business Houses can also benefit by giving ordering capability via Purchase Orders, Lines of Credit, Cheque or Credit Card. Powered by suitably applicable platforms. Customized interface for each type of visitors (customers, suppliers, distributors). Can be integrated with the existing ERP running in the Organization. Can be integrated with a Payment and Billing option, with links to Banks/ Validating Agencies. Can work smoothly with an existing Intranet. Nita Microtek B 2 C marketplace would let you create one or more virtual retail stores in no time that would provide with easy one or more e-Catalogue to organize your products, provide a shopping cart logic, supported by logistics (order tracking software) and the option of connecting to the payment and billing gateway. It is very customer friendly by giving your end consumers the ability to browse product catalogs and place orders over the Web using their Credit Cards. It also includes online Customer Authorization, Automated Tax and Shipping Calculations, and Online Order Tracking. Nita Microtek B 2 C marketplace would help increase Sales Revenues, broaden your Customer Base, and improve relationships with existing customers. You do not have to develop Web Site from us to avail our product. The product can be integrated with your existing Web Site. Can open multiple store fronts to target different markets. Shopping cart uses most suitably applicable platforms. Option of pick and choose your own storefront interface. Offer customers convenient shipping options. Monitor and track online orders including volume, pending and confirmed orders, and much more. Can be integrated with your existing Web Site. Maintain Customer Information, generate service and Payment remainders. Confirm Order status,check work in progress and in transit schedules etc. with suppliers. Monitor sales, inventory, product feedback with sub-dealer network. Evaluate supplier,dealer, sub-dealer performance based on targets achieved, CRM etc or any evaluation criteria of their choice. Allow customers to consummate sales online, acess comparitive,information abot products providing a Decission Support System. This is a session-based Shopping Cart application which allows clients to check out a unique shopping cart, browse through the electronic warehouse adding and deleting items to and from the cart, and go to a check out stand to buy them. Pages are generated dynamically.